Hey everyone! 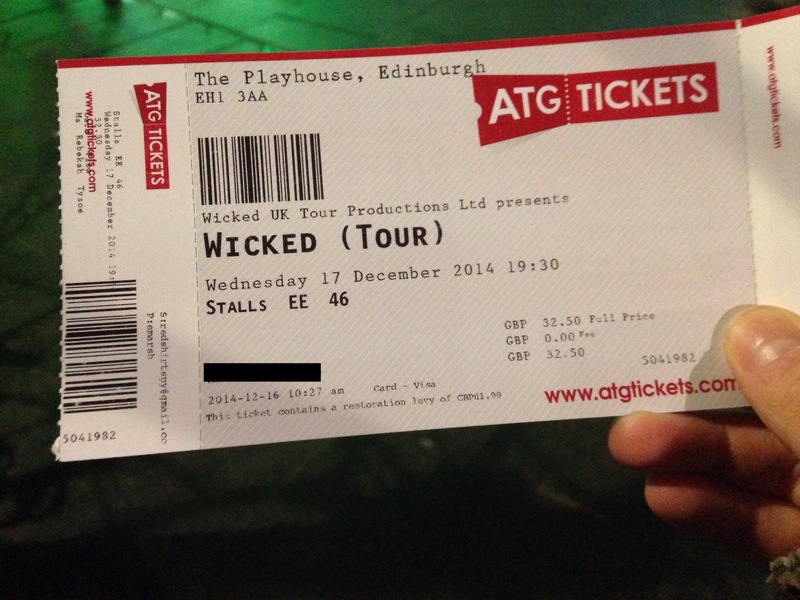 I went to see Wicked at the Edinburgh Playhouse with a couple of friends yesterday, and I had the most AMAZING time!! 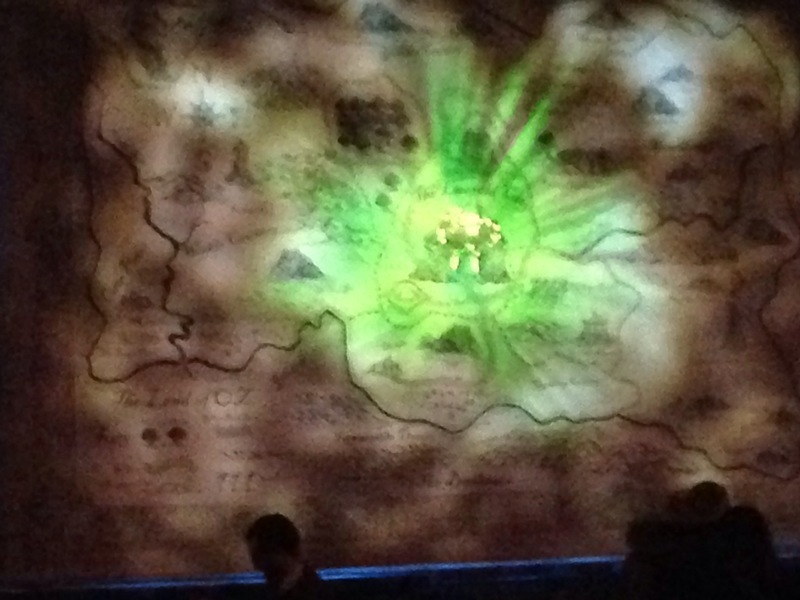 I’ve never seen Wicked before but I love any type of musical extravaganza or play and this was no exception. 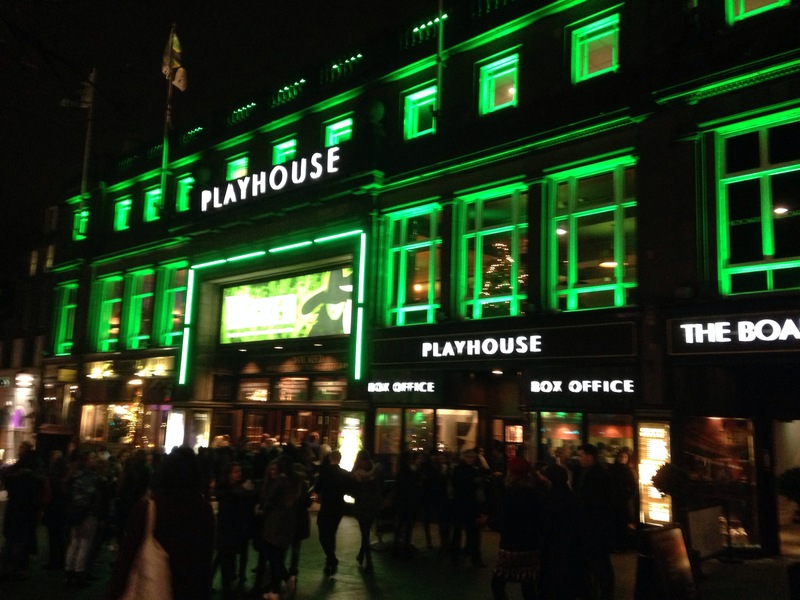 I laughed, I cried, I sighed in longing over Fiyero…it was just magical. 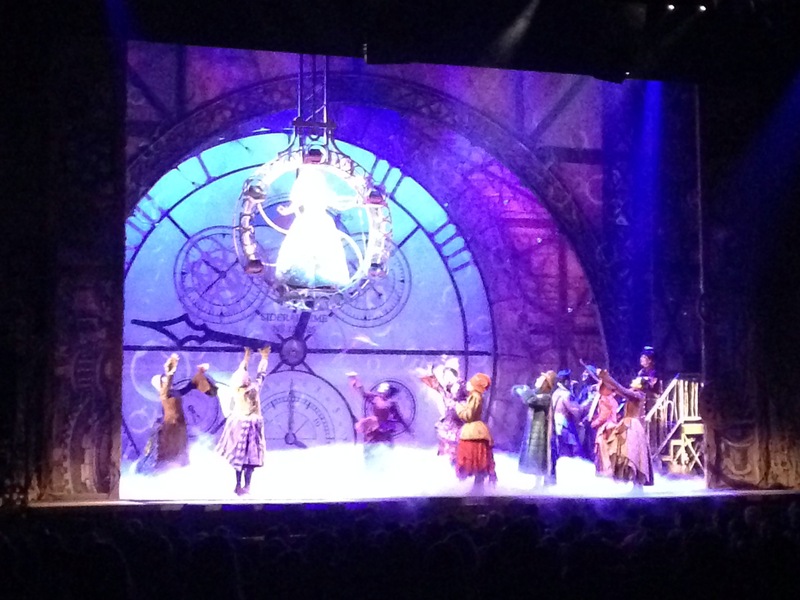 The theatre was gorgeous and the sets were stunning, the costumes beautiful and the acting perfection. 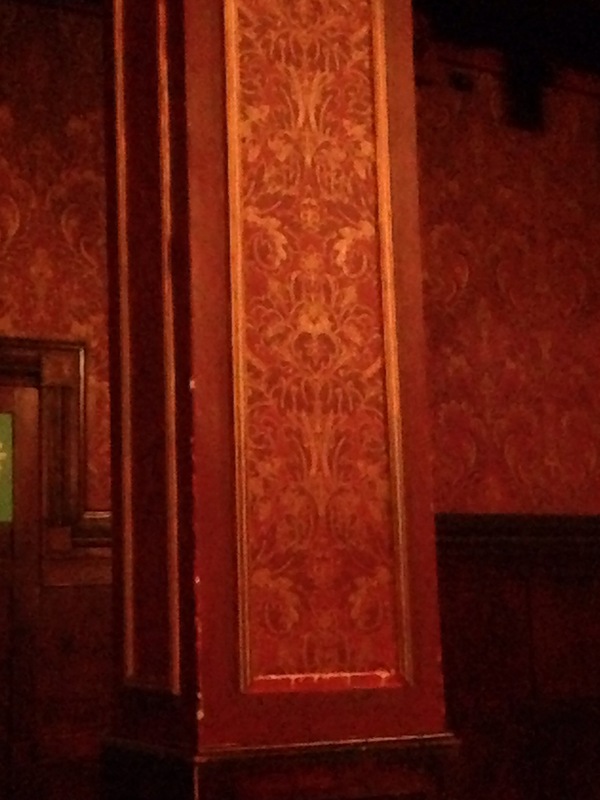 I took a couple of cheeky photos (you weren’t really supposed to take pictures inside) that I’ll put below for you guys. 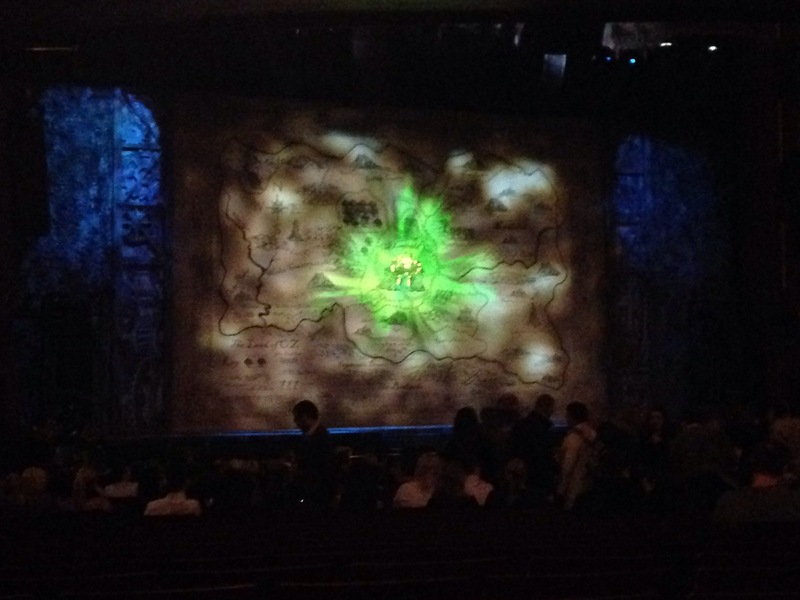 I’m not sure how long the run is on for (they’ve been there a while) but I believe it’s the UK tour which means that there’s still a chance for you to go and see this…wait for it…WICKED creation (sorry, I just couldn’t help myself!). 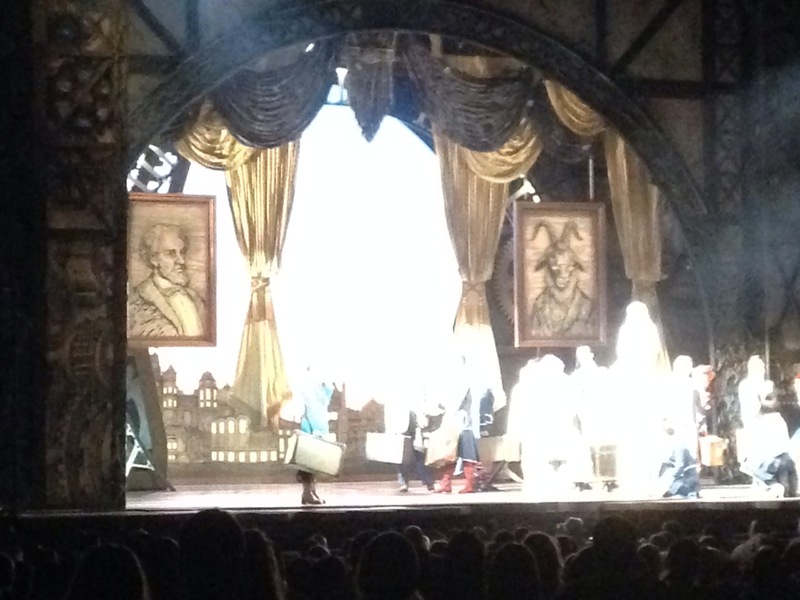 If you get the chance, I highly recommend it!